New Release! 4th book in the Shiloh Series. It’s been a full six months of producing another book. Book 4 released earlier in May and was a long time in coming. All but one of this series has been under 100K word count, and this one at its draft reached 155K. I cut a lot in my rewrite to bring it back down to 130K. These are necessarily long stories, woven around the history of a campaign and a view of soldiering from the ranks while describing an ebb and flow of combattants upon a field and the strategic decision-making of higher command to bring the reader a complete picture. They Met at Shiloh stands at 90K word count but I’ve not been able to get in a story below that since and the campaigns just keep getting longer! RoB is centered around the late 1862 maneuvers in Tennessee around Nashville and Murfreesboro, TN as winter is settling in and the soldiers are looking forward to rest in winter abode. This is denied them and the story of familiar characters moves forward along with the armies. I always have a choice to make when starting a new novel. Who will continue on? Some of that is decided for me. If I’m to tackle another campaign then I need to know what regiments participated in that campaign. For instance, after They Met at Shiloh’s story was completed, men from the 25th Missouri Volunteers (Hube and Robert) were consolidated into an engineering regiment and their term of service took them elsewhere and out of the Army of the Tennessee. Others, like Michael Grierson of the amalgamated Texas and Tennessee battery under Major Polk were so decimated after Shiloh that the battery was disbanded. I managed to redeploy Michael in order to continue his story into the third novel but after 2nd Corinth, his historical destiny with General Price’s Army takes him out of the immediate series for the time being. There is also always the choice to keep a character alive or to make them a casualty as I chose to do with another character from They Met at Shiloh. For this novel, I wanted to highlight another type of unit in the Civil War, the regular. I then had a choice, Confederate or Union. The Confederacy didn’t employ regular soldiers in great numbers. Though one had the option of volunteering for a regular force that the new government was putting together, this force was never filled out. Instead what you find in researching orders of battle on the Confederate side are units that look like they were regular formations. This lead to my discovery of the history behind the 3rd Confederate Infantry. What made them a little unique was the presence of a single company of Arkansas soldiers. The Confederacy, like the Union states, called for all states to contribute a quota of volunteer formations. What happened in Arkansas was something out of a Vietnam movie storyline. A troublemaker is given a choice, volunteer for the army or face prison. At the time of the state secession movements there were in Arkansas men who opposed secession and formed a secret society for mutual protection and warning as those who favored secession were targeting those men who vocally opposed it for threats, beatings, and lynchings. Acts of sabotage were blamed on anyone who opposed secession and might be a member of the Arkansas Peace Society. Once the secession ordinance passed the Arkansas Secession convention these men became fair game to be rounded up and given a choice: volunteer or face prison and loss of land. Discovering this also lead to another interesting find: there were several men who deserted during the Murfreesboro campaign. From there, a storyline was born. 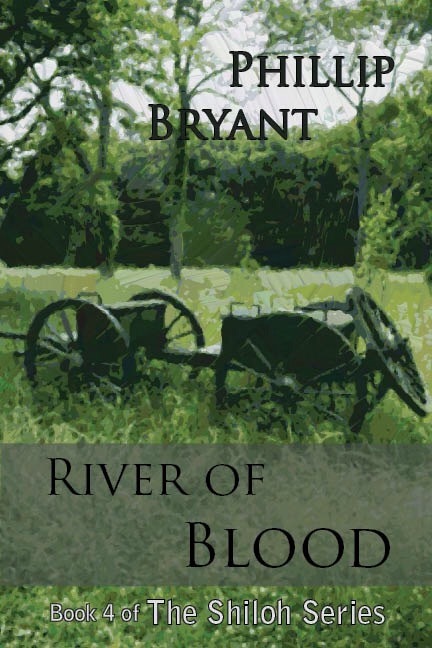 Author phil1861Posted on June 13, 2015 Categories News and ViewsTags Civil War, Murfreesboro, the shiloh seriesLeave a comment on New Release! 4th book in the Shiloh Series.